The reasons adduced for being satisfied with the state of marketing in Nigeria are for example ‘…the nation’s ad agencies are winning awards such as Cristal and Loeries’; ‘….most international companies trading in Nigeria operate best marketing practice etc’. CEO/Board Executives gave the most shine to marketing in Nigeria with comments like ‘….there is a lot of innovative ideas coming out of the industry; ’…..Nigerian marketers are better educated than ever before and are able to deploy more sophisticated marketing solutions…’. The ‘How is Marketing Doing in Nigeria these Days’ research was devised to uncover the overall level of satisfaction with the state of marketing practice in Nigeria, why the level of satisfaction is the way it is and what broad areas need looking into for substantial improvements in the coming years. A total of 245 emailed invitees viewed the online questionnaire (ref questionnaire in Appendix 1). 76 or 32.4% started and completed filling out the questionnaire between 07 December 2015 and 02 January 2016. Of the 8 questions in the questionnaire that took an average of 12 minutes to fill, only two were open-ended; the more valuable one being Q.2 on the reasons for respondent’s level of satisfaction or dissatisfaction with ‘the overall state of marketing practice in Nigeria these days’. The respondents are mostly from marketer organizations and the marketing communications agency industry and cut across various functions or departments – Board/CEO, General Management, Marketing, Business Development, Finance/Accounting, Sales/Client Service, Personnel/HR and IT/ICT – as well as being from various levels of their organizations. 45% are ‘fairly satisfied ’with the overall state of marketing practice in Nigeria these days….but 34% are either ‘not at all satisfied’ or ‘fairly unsatisfied’. Virtually all of the unsatisfied (96%) are in the 35-64years age range and all those aged 65 years and above are neither satisfied nor unsatisfied. 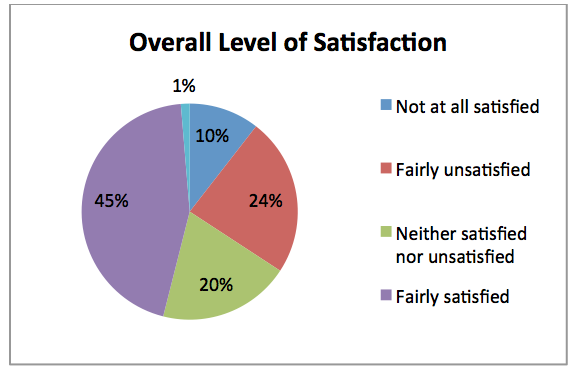 There is a significantly higher number of the unsatisfied among those with functional management experience in marketing (48%) and marketing related functions….like Operations (50%), Sales/Client Service (44%), Customer Support/Development (50%) as opposed to those in more remote functions to marketing like Finance (18%) and IT/ICT (9%). 38% of Board/CEO and General Managers are unsatisfied with the overall state of marketing practice in Nigeria. 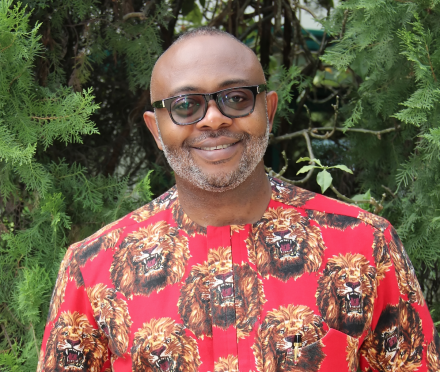 Executives from outside of the marketing function and at lower levels of the organization appear to be more impressed with the overall state of marketing in Nigeria…..
“Young marketing outfits are winning accounts, ahead of the older generations. The nation’s ad agencies are winning awards such as Cristal and Loeries”. There is a higher incidence and much wider variety of negative comments and reasons for being ‘fairly unsatisfied’ or ‘not at all satisfied’. Even those satisfied with the overall state of marketing practice in Nigeria shared some of these negative comments. “Mediums of marketing not utilized appropriately. Appreciation of the value of digital is rising but very slow. Band wagon approach in digital marketing. Lack of quality talent pool – having to train people in digital. Slow to adopt new media. …extensive concerns about the lack of training and continuous professional development ……. Low or slow in-depth knowledge of Research & Development in most organizations. Less research of future market needs and expectations. Poor access to marketing information and lack of sincerity in the marketing profession. Unreliability of marketing data. Doubtful test marketing. Most times ignore vital cultural, religion & social values – tactic assume genericity. Advertisers and Client Managers have lost the balls to venture into new territory for their brands. Low commercial awareness amongst marketing managers and too much focus on the esoteric marketing metrics with less connection to the core business KPIs. Budget constraints affecting choices. Leadership failures. Ineffective marketing strategies. Brand management not emphasized. There are too many foreign players, limiting the capacity of local players from full optimization. Many of the marketing organizations that we used to hear about in the past have disappeared. Where are they. Non urban areas not considered. Style and technology upgrade lacking. Urban / rural dichotomy placed much emphasis on urban areas. There seems to be no direct correlation between strategy and end result (sales). There are a lot of gimmicks on going in the marketing practice hence no reward for loyalty. The competition in the industry is very stiff, even to the point where USPs are no longer distinguishable. …………asymmetrical, even adversarial client and agency relationships……..
High proliferation in the marketing services sector – too many agencies run by lower skilled managers. There could be more collaboration (agency/client collaboration) to the benefit of brands managed but that isn’t the norm. Many agencies still appear to be very weak compared with clients hence have weak bargaining powers yet the industry seem unable to help its weak members. Too many mediocre marketing agencies. ………….ineffective marketing communications and promotions……. The negative comments and reasons for dissatisfaction with the overall state of marketing practice in Nigeria as it related to professional ethics and values are fewer but some are quite pungent. Those that relate to……. There appears to be unhealthy competition in the industry…de-marketing among competitors. Some marketing campaigns appear fictitious and may be misleading to the general public. ………are mixed with accusations of serious unethical practices (even corruption)……. Pecuniary issues take preeminence over professionalism. The industry is corrupt beyond even politics. What specific areas of knowledge, skills and techniques are required to improve on the overall state of marketing practice in Nigeria these days?